Sunday 18 January – MONA FOMA, Hobart. Thursday January 22 – Sydney Festival. Saturday January 24 – Sugar Mountain 2015, Melbourne. Sunday January 25 – The Brightside, Brisbane w/- Ariel Pink, The Clean, How To Dress Well + more. Dan Deacon Ensemble tour 2011/2012. 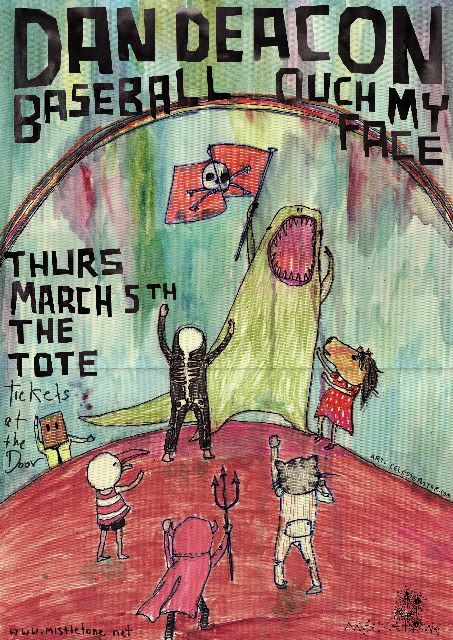 Artwork by Dan Deacon, layout by Alex Fregon. 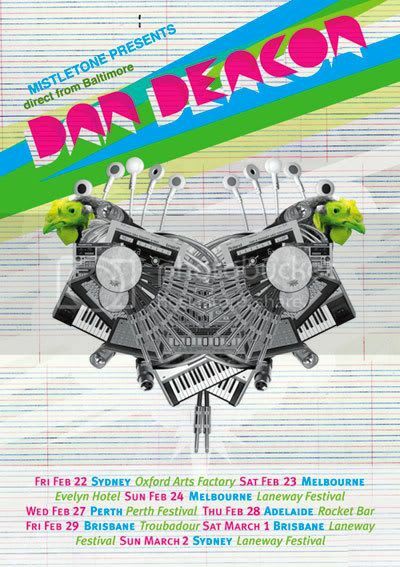 Dan Deacon Australian tour 2009. Artwork by Celeste Potter. Dan Deacon Australian tour 2008.